The Lake County commissioners have appointed Jon P. Marten of Concord Township to the Laketran Board of Trustees. Marten is a retired chief financial officer of Parker Hannifin, where he had a 30-year career helping grow the company to become a world leader in manufacturing motion and control technologies and systems. He was sworn in March 25. According to a news release, Marten will bring his financial acumen to Laketran as well as his strategic leadership. “I am honored to have been appointed to the Laketran board,” he said. “And I thank the commissioners for their support. I have had a fortunate career working for a great company and now that I’m retired, I want to spend time giving back to be an example to my community, my neighbors, and most importantly, my two sons. Marten joined Parker as a financial analyst in the corporation’s Aerospace Group in 1987. He advanced through several different division controller positions and has been vice president and controller for the Instrumentation Group and the Aerospace Group, in addition to assistant corporate controller. 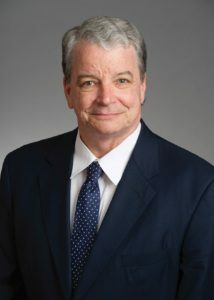 He also served as executive vice president – finance and administration. Marten holds an undergraduate degree from Virginia Polytechnic Institute and State University (Virginia Tech) and an MBA from Baldwin-Wallace College. He is a member of the Financial Executives Institute, Manufacturers Alliance for Productivity and Innovation, CFO Council and the Corporate Leadership Association.